This blog is for everyone who is interested in climate change, cognition, change in complex systems, social innovation and conflict. 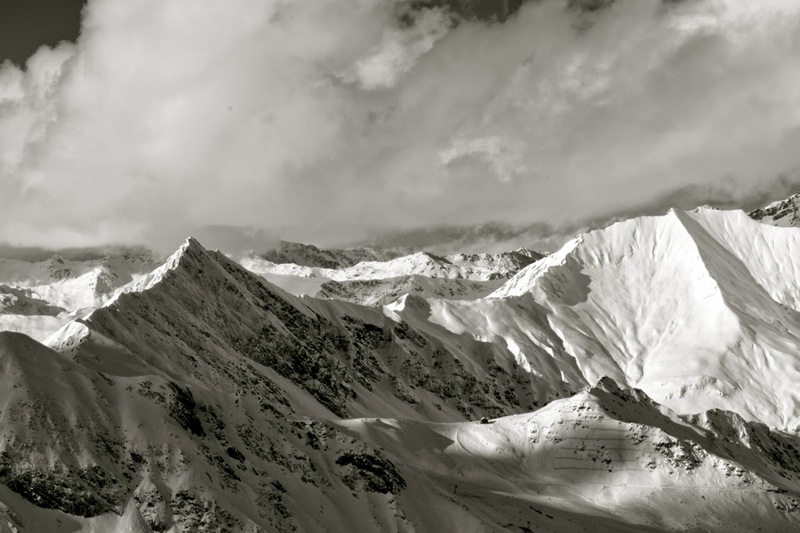 Anthropocene Definitions – Power, Responsibility, or Something else? "I expressed serious concerns about the kinds of agency asserted in the notion of ‘the Anthropocene’. […] this mood of externally-oriented control can oppose and undermine the real values essential to Sustainability: instead laying the foundations for planetary geoengineering." Johan Rockström sees the Anthropocene more as a neutral label for a scientific fact – humanity having become the dominant geological force – and argues that the term is about responsibility rather than power. While these debates are unfolding on a purely conceptual basis, I have been studying people’s actual beliefs about the Anthropocene, and might be able to shed some light on the evolving and multiple meanings of the term, at least for a specific group of individuals. Working with the Haus der Kulturen der Welt in Berlin, I have been surveying and interviewing participants of the Anthropocene Campus project, about 100 young, international scholars from the natural and social sciences, humanities, arts, engineering and architecture with an interest in the topic. The data from this project offers very little evidence for Andy Stirling’s argument that the idea of the Anthropocene is inevitably associated with or supports notions of control, planetary management, and geoengineering. Neither is there any inherent notion of responsibility nor of optimism for the future (“hope for technology and human development”), as argued by the Breakthrough Institute. Instead of focusing on governance, the term tends to be used to describe the complex relationship between humans and the planet, where anthropogenic change often occurs in unexpected, unintended and currently uncontrollable ways. In other words, the Anthropocene describes a condition rather than a governance approach, and the condition is better described by the absence of than by an inherent tendency towards management and control. Two observations about the definitions of Campus participants stand out. Most people have latched on the idea of the Anthropocene as an epoch – a distinct period of time measured in geological terms. Campus participants used the term epoch, era, age, period and time without apparent awareness of the difference between those concepts for a geologist. Those using the geological terminology describe the time period they refer to in terms of human impacts on the environment or Earth systems functioning. In fact, for the vast majority of survey participants, the Anthropocene is a term to describe the relationship between humanity and planet Earth. So far, this relationship is neither one of collective human power and control nor of responsibility. It simply is. Second, there are four distinct models of the Human-Earth relationship. Interestingly, there is some subtle, but significant diversity in the way participating young scholars define the human-Earth relationship. There is terminological diversity with regard to all three essential components of such a definition: subject (who or what), predicate (verbs/relationship terms) and object (to who or what). Some of this diversity indicates more than just a preference for different words; it suggests that there might be distinct meanings. The subject terms include barely distinguishable concepts of agents such as humanity, humans and humankind, but also human actions or activities, human systems, human interventions, and the interesting formulation “humans and their technological extensions.” While the former set of words refers to humans as a group that simply is, the latter focuses on things that we do and create. The set of objects - entities humanity has a relationship with – mentioned by participants includes Earth, the planet, the (global) environment, earth systems, ecosystems, major natural processes of the planet, and geology. Interestingly, nature was not a very popular term; it only showed up once. Instead, young scholars predominantly use the terminology of the natural sciences grounded in systems and processes at a global scale. The first relationship model could be described as passive co-existence. The key terms include to be, to be connected, and to be entangled, none of which imply any activity on behalf of the human subjects. Humanity is seen as simply being in a relationship with the planet, but does not actively shape the nature of the relationship. The second model is one of interaction or mutual influence. Both humans and the planet are seen as acting or being active in a way that affects the other. This could involve a doing to each other or a doing with each other, although this formulation raises the difficult question in what sense Earth systems could be attributed with agency. The third model maintains this focus on activity or active influence, but instead of a mutual effect on each other, it focuses on the unidirectional influence of humanity on the planet. This impact model implies a one-way relationship, in which humans are acting on or doing something to their environment with global implications. If Earth systems in any way affect humans, this particular definition is not interested in those Earth-to-human effects. A version of this model places emphasis on the quality of this impact, suggesting that it is significant and sometimes negative. The relationship terms used for this version include primary, major, and dominant, but also terms like exploitation, transformation, and shifting or pushing the system beyond its boundaries. The fourth model does away with a one-way relationship between humanity as an agent and the planet as its passive object. Instead, it suggests that humans are not producing planetary impacts all by themselves, but do so along with other forces of nature (co-production or co-causation). This is a subtle but important difference, assuming that humans and natural processes somehow coalesce or collaborate in creating certain changes on planet Earth. Clearly, models 1 and 2 are afar cry from equating the Anthropocene with human control over nature. But even models 3 and 4 do not rely on concepts like control or intentionality. Rather, they are concerned with often seemingly uncontrollable, widely dispersed and diverse human activities that collectively shape planetary processes in often unexpected, unpredictable and unmanageable ways. Most participants are very concerned with the existing social, political and economic structures that keep human societies locked in existing patterns of living and working that produce planetary-scale impacts and the social inequality these structures produce. If Campus participants discuss geoengineering at all, they associate the idea with a ‘bad Anthropocene’ – something I will discuss here in more detail soon. Of course, a definition is only one data point when it comes to meaning-making. If you’d like to know more, check back for future posts. An expanded version of this post with a little more information about the research methods will soon be posted on the website of the Anthropocene Campus Project website of the HKW. And a more detailed analysis of Anthropocene beliefs of young scholars will appear as a chapter in the forthcoming volume Humanities for the Environment (HfE): Integrating Knowledge, Forging New Constellations of Practice, edited by Joni Adamson, Michael Davis, and Hsinya Huang (Routledge Publishing 2016). Does anybody else find the ongoing conversation about the temperature goal curious? The growing number of supporters of a 1.5°C long-term temperature goal is bizarre. Simply stated, 1.5°C is impossible at this point in time. If you ask any serious climate modeler without shoving a microphone in their face, they will tell you that there is no longer a reasonable pathway to 1.5°C (on a time scale that is relevant for humanity). On record, the scientists squirm and say things like “an extremely slim chance,” (CICERO’s Glen Peters) or “technically feasible” (Andy Wiltshire at the UK Met Office). But what they mean is that there is simply no way you can bridge the gap between unrealistic, overly optimistic model assumptions (e.g., peaking this decade, 50% reductions over the next 15 years, massive negative carbon emissions) and the real constraints of decarbonization (including the anticipated growth of coal power in India and China). Even the good old 2°C goal seems like quite a stretch at this point, unless “a little miracle” happens in 2030, as a colleague of mine put it yesterday. The current INDCs – if implemented fully – give us a decent chance (not certainty) to end up somewhere between 2.7°C and 3.5°C with an option of bending the curve to 2°C after 2030 with a fast phase-out of fossil fuels and even faster scaling up of negative emissions technologies (something our R&D budgets have been neglecting, btw.). Nevertheless, the question whether or not to aim for 1.5°C has become one of the fundamental issues at COP 21 – a kind of litmus test for your moral worth: are you with the most vulnerable countries or not? Although I suspect I will make myself unpopular saying this, I believe that this is not only an unproductive framing of the necessary conversation about an appropriate goal for the Convention. It is also a dangerous path to set the climate regime on. One of the few important results of Copenhagen was a political agreement that established 2°C as a long-term goal to keep the world safe from “dangerous” climate change in accordance with Art 2.1 of the Convention. AOSIS has always fought for 1.5°C, but acceded to the Copenhagen Accord as better than nothing. However, here in Paris, the AOSIS chair has called the lower temperature goal a “moral threshold”. In 2014, the LDCs started to campaign for 1.5°C. Saleemul Huq, Director of the International Centre for Climate and Development, offers a reason for this renewed focus on the temperature target: the difference between a 1.5°C and 2°C ‘is roughly 1.5 million people who will fall through the cracks and most of them will be in vulnerable and developing countries.’ The more ambitious target – even if not achieved – would make these climate impact victims visible. Some island states and African least developed countries now have a joint voice for 1.5°C in Climate Vulnerable Forum. A part of the NGO community, including youth and climate justice organizations, are also in favor of the more ambitious goal, as CAN keep stating in their ECO newsletter. Galvanized by this momentum and media attention, Santa Lucia reintroduced 1.5°C into the negotiation text last week (thank you, New York Times, for a very well-timed piece on the disappearance of the Marshall Islands). Saudi Arabia is resisting any mention of the temperature target, or even the summary report of 2013-2015 review process. This report made some critical observations about the expected climate impacts of 2°C warming, raising the question whether that would actually prevent ‘dangerous’ climate change. In a meeting last week Wednesday, when parties discussed requesting the IPCC to draft a special report on the impacts of 1.5°C warming, India had the guts to spell out what other (mainly developed) countries are probably only thinking: regardless of achievability, it might simply be too expensive to aim for 1.5°C. 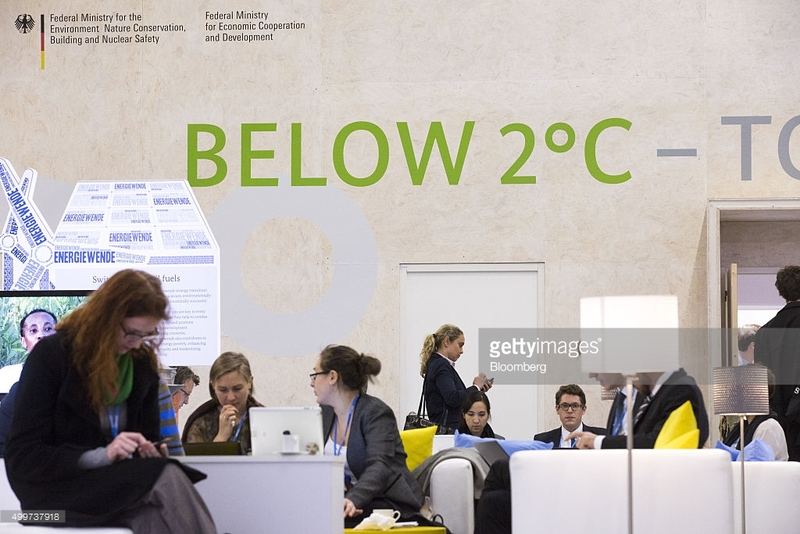 Regardless of the pessimism sown by Saudi Arabia and India, COP 21 president Francois Hollande made a pitch for 1.5°C “if possible.” Germany’s lead negotiator followed suit - a bit awkward, given that Germany’s pavilion is all about 2°C. Flasbarth’s differentiation between making 1.5°C the long-term goal and finding some way to insert the number into the language of the Paris agreement turns out to be an important one. The EU said it was “open” to a 1.5°C target. Canada’s Environment and Climate Minister McKenna announced on Sunday that she supports 1.5°C – a stunning turn-around of the Canadian government, reflecting the shift from the Harper era to Trudeau’s liberal government. She buffered that statement a day later, saying Canada supports language on 1.5°C rather than making it the single long-term goal under the new agreement. The US’s Todd Stern said “We are working with other countries on some formulation that would include 1.5°C,” – again, some formulation, not the ultimate goal. Secretary of State, John Kerry, shed some more light on this position when he said “I think we should embrace it as a legitimate aspiration, … [b]ut I don’t think we can make it the embraced targetable goal because we lose people when we head that way.” Alright, so we are sympathetic to the idea but we won’t actually aim for it? China followed suit with an - as always - interpretable statement on supporting developing countries. India was a bit wobbly on the issue, having voiced its doubts about the affordability of 1.5°C last week, but seems to be coming around too. “Why not 1°C, why 1.5°C,” asked Ashok Lavasa, India’s lead negotiator. Yesterday Susheel Kuman commented that India had no problem with 1.5°C target if the required emission cuts were made by the developed countries (while India’s growing GHG emission increasingly cancel out those cuts). Finally, in a move that still boggles my mind, a group of business leaders issued a statement in support of 1.5°C. So, what is going on? What is this collective denial of science all about? Is there a rational reason for this newly found support for the most vulnerable? Are moral emotions taking over in the face of heartbreaking realities? Let’s see if political and cognitive science can shed some light on this puzzle. International relations theory would suggest that states act in their national interest, understood as a rational assessment of costs and benefits. That neatly seems to explain the position of small island states and maybe some LDCs, who face existential threats (the actual threat of death or disappearance) to their statehood (because of the loss of their territory), their nationhood (in case their people disperse and change) and their culture. Given the higher chance of preserving these ultimate goods in a 1.5°C warming scenario, it is absolutely in the interest of AOSIS to insist on this goal. Cognitive science tells us that islanders’ minds work hard to reject the impossibility-argument, clinging to the remaining slivers of hope and an ‘overshoot and return’ option as long as there is territory left to defend from climate death. You might argue with Slate’s Eric Holthaus that they might be better off negotiating for real money (loss and damage) rather than unreal warming goals. But in extreme cases like this, human beings do not trade-off sacred values for money. The mind uses what is called deontological reasoning when it comes to matters of survival – a principled (and highly emotional) question of right or wrong rather than (im)possibility or (un)affordability. And even if they eventually acknowledge that 1.5°C is unachievable, the formal goal enshrined in the Paris Agreement would give them a much stronger argument to claim financial support for their action. A rational explanation for the LDCs is a little different, but also not that hard. Pursuing 1.5°C makes a lot of tactical and strategic sense in the negotiations. A more ambitious temperature target would strengthen their claim for finance, technology transfer and capacity building support – more ambition requires more action; more action requires more support. And even if 1.5°C turns out to be unachievable, having the goal formally established in the Paris Agreement would lay the foundations for strong Loss and Damage claims once the world passes this temperature threshold. Like CBDR in the Convention, this reference would be here to stay and certainly do a lot of work for the developing world in the years and decades to come. Alright, we’ve got AOSIS and the LDCs covered. But what about those not in danger of losing statehood, homeland, culture, livelihoods and lives? Pursuing an impossible goal is hardly in their national interest. Or is it? Maybe they are taking the science really seriously, and have come to a new understanding of their national interest in the light of climate tipping points. Two tipping points (coral bleaching and Greenland melting) are becoming more likely when the global temperature passes 1.5°C. Maybe the major emitters want to reduce mitigation (and adaptation costs, because mitigating earlier and faster (the necessary conditions for a 1.5°C scenario) is cheaper than postponing action. Or they realize that sea-level rise is not just a problem for small island states. However, nothing in their statements or behavior so far points to this explanation. But rationality and risk assessment might not be all that matters. Some theories of international relations tell us that ideas and norms – especially norms of justice – matter. The moral norms invoked by small island states are not backed up by economic power, yet, they have a funny way of taking hold of people and processes. In addition, cognitive science suggests that all ideas – especially norms of justice – are accompanied by a set of powerful emotions, that can motivate our actions. So maybe, it’s not just the vulnerable, who make emotional demands for justice, but the powerful who cannot deny the moral power of those who stand to loose everything? Maybe high emitters find it hard to admit to the victims of their (growing) prosperity that they have messed up. Taking responsibility for somebody else’s ultimate loss might simply be impossible, especially when trivial benefits in one part of the world have catastrophic costs in another. Wrong doesn’t begin to cover it. Regardless of the reasons, formalizing the impossible in an international treaty is not a good idea. You might argue that it can’t do any harm to aim high and fall a little short – better than aiming low and getting there. But there are serious drawbacks to establishing a Climate Mission Impossible, even if it’s just a façade with the purpose to comfort those whose loss will be immeasurable. For one, the psychology of goal achievement tells us that setting unrealistic (rather than ambitious) goals usually leads to resignation – you don’t even try to achieve the impossible. Second, the UNFCCC would lose credibility when real temperature records show that it has engaged in wishful thinking. Third, the parties would lay the foundations for a set of future contestations over the responsibility for failing to achieve a shared goal, and linked to that loss, damage and the much-dreaded idea of compensation. Fourth, they are missing out on an opportunity to establish a more sensible goal to begin with, one that could be measured while we are working on it (e.g., GHG concentrations in the atmosphere, or decarbonization of economies and societies.) rather than with a lag time inherent in the climate system. Recently, much of my research has focused on the Anthropocene. I'm wondering, and have been investigating, what people mean when they talk about the Anthropocene, and what they imagine when they think about it. Given the current excitement about this new and big idea, I want to track some of my observations concerning conceptual developments, diversifications of meaning, and struggles to determine what the Anthropocene is not. Human activities have grown to become significant geological forces, for instance through the manufacturing of hazardous chemical compounds, land use changes, deforestation and fossil fuel burning. He seemed to suggest that the big A has to do with geology - the traceability of the collective human impact on the planet in its rock layers. Note that Crutzen used the word "significant" to describe the nature of the human impact on Earth. Soon, other scholars would use much stronger terminology, such as profound and dominant. The behavior of the Earth System over the past two centuries has been dominated, by the rapid rise of human activities as a significant geophysical force at the global scale. The Anthropocene articulates a systemically compelling picture of an earth system that has flipped from a regime governed by natural drivers to one governed by human agency. The pieces of the definition that all of these scholars seem to agree on is the global scale of the human trace. It's not enough that an oil spill in the Arctic causes birds to die in Antarctica. The effect has to be a persistent change in some global system, affecting the planet systemically, potentially reaching into the deep future. In November 2014 I was part of a nine-day event called the Anthropocene Campus, organized by the House of World Cultures in Berlin. About 120 young scholars with diverse disciplinary backgrounds took part in a series of interdisciplinary seminars and cultural experiences to explore the meaning of the Anthropocene. The rich personal experiences of the Campus have been described elsewhere, but I was struck by the fact that the event seemed to knock Mr. Crutzen's definition of its pedestal without intending to do so or acknowledging that it did. But rather than replacing the geological definition of the big A, the group added a whole bunch of conceptual elements to it. Instead of a single, authoritative, scientific definition, suddenly the Anthropocene became a collection of ideas, proposals, possibilities, representations, challenges, and even emotions. I followed the Campus as a researcher, asking whether and how the event would affect the thoughts and future research plans of its participants. The key cognitive change I was able to observe through surveys and interviews was what I would call cognitive-emotional destabilization. While Mr. Crutzen's idea was still very much alive by the end of the Campus, participants left Berlin with a wealth of new ideas, images and questions that they struggled to integrate into their cognitive architecture. It would take a while – weeks, maybe months – to fit these new pieces together into a new, coherent system of meaning. The Campus had triggered what creativity experts call a process of divergent thinking: producing lots of different ideas and increasing the pool of definitional source material to chose from. What should follow at some point is a phase of convergent thinking – developing agreement about the best or most valuable ideas out of the pool. But I think we – the scholarly community – are far from done with divergence. The public hasn't even gotten started. In January 2015 I was invited to a workshop on "Bright Spots - Seeds of a Good Anthropocene" in Stockholm. (It seems that Europeans have a greater taste for funding events on the An thropocene than the rest of the world). The workshop was again interdisciplinary and international, but focused on particular types of ideas: those that could lead to a good Anthropocene. But what does that mean? Adding the word good – innocent and likable as it seems – opens a big can of worms. Suddenly we need to make value statements about the kind of future we want, the kinds of societies we want to live in, the pieces of nature we want to protect and those we are willing to sacrifice, and the pathways to get into from here to one of those good Anthropocenes. Who gets a say in what is good and bad? And what about conflicting or even mutually exclusive value sets? Does the Anthropocene mean that we all have to share at least a part of the future? Or do we all get to pick our own – individually, locally, nationally? Do plant and animal species get to vote? Mountains (those rocks we're layering with plastic and radioactive isotopes), forests, and oceans? What about the people or non-human beings who will live in the future? Of course the workshop couldn't answer these questions, but we started to think about the difference – if there is any – between a ‘good Anthropocene’ and sustainable development. Both concepts are concerned with the future of humanity and global environmental change. Both seek to understand and maybe redefine the relationship between humans and nature. So, what's the difference? Returning to the definitions of the Anthropocene, we start with the ideas of global scale, human impacts on earth systems (rather than ecosystems at other scales), and a profound cognitive change – a new way of thinking – that builds on and requires a complex-systems view of the world. Are we on a good track? 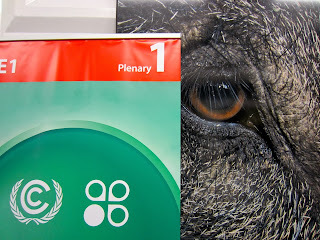 It took a while to find some inspiration for a blog from COP-19 in Warsaw. It’s probably telling that the inspiration was finally provided not by any of the drawn-out and contentions discussions on climate finance, loss and damage, or the 2015-agreement, but by civil society. Last week Wednesday, about 800 representatives of civil society organizations, including WWF, Friends of the Earth, Greenpeace, Oxfam and 350.org, jointly walked out of the UN climate negotiations, which had been going on in Warsaw since November 11th. Most of these ‘observers’ are members of environment and development NGOs, who left the negotiations in protest with no intention of returning (until Lima, I should add). For me, the ‘walk out’ raised a number of questions. The obvious one is Why?, and I mean not only reasons for protesting, but also the reasons for choosing a walk-out to express this protest. The more important question may be What does it accomplish?, which picks up a topic I wrote about at COP-17 in Durban – Who cares? Given that observer status at the UN climate talks is highly valued and hard fought for by civil society, why did 800 people leave a conference whose progress they were trying to influence through their presence? To protest governments’ disregard for “the voice of the people” and democracy. Most of these motivations can be summarized as “voicing discontent with the way things are” – the walkers wanted to send a message to governments and the fossil fuel industry, letting them know that they are unhappy and frustrated. Another and less obvious element of the complex motivational set is the desire to change things by mobilizing people around the world, and putting pressure on decision-makers to make different kinds of decisions. Why did they chose a walk-out as their form of protest? Given that being present is usually considered the minimum condition for having any kind of influence on the negotiation process, leaving seems counterintuitive, even counterproductive. Walking out means that they give up their ability to observe the process, to speak with delegates, to stage actions in the conference center, or to produce papers and flyers that might be read or even considered by the people around the negotiation table. The answer to this question is simple: symbolism. In a world where the only power you have is the power of meaning, a walk-out held more symbolic power than any other kind of action. This is particularly true at this particular COP, where the financial and political resources of the corporate world have played a larger role than ever before. The sense of ‘being outspent’ and ‘made voiceless’ by the industry players that have been invited to sponsor this event played a major role in shifting the mood of civil society participants. If the walkers sought media attention, they certainly succeeded. Reports about the protest flooded the Twitterverse, the Blogosphere and a range of online news media. But it is less clear whether the protesters were able to reach their main audience – delegates in the negotiations and governments in the developed countries. A small number of well-known negotiators from developing countries (@yebsano and @cscaldera) tweeted their support, but I am not aware of any response from the delegations. And even if they got the message from civil society, how would the walk-out change the decisions of a diplomat acting within a narrowly prescribed negotiation mandate? Regarding the second motivation, the walk-out itself will hardly mobilize people around the world. But the action can play an important role by strengthening the participating organizations and energizing their respective campaigns all over the world. The walk-out has brought together a range of organizations that are usually pursuing different interests in the climate negotiations - protecting the environment, communities with urgent development needs or workers’ rights. Uniting these diverse actors behind a cause, the protest has created a larger sense of community and possibly power. Besides creating a sense of agency and collective power, there is a third – less appreciated – reason why hundreds of passionate individuals relinquished their most direct ways to influence the climate negotiations for a single moment of attention, a moment of meaning-making: emotions. The civil society movement for climate action is fighting not only un-ambitious governments, but an enemy that is much harder to identify and counter: demobilizing emotions such as fear, sadness, depression and frustration, which slowly drain the energy for political mobilization. Most people around the world avoid these negative emotions associated with the overwhelming climate challenge by denying the problem, or its relevance for their daily lives. While climate activists have overcome this massive, initial obstacle to political engagement, their minds need a positive and optimistic story that allows them to feel hopeful and empowered to change the world, regardless of the difficulties they face. Walking out of COP 19 was a way to regain a sense of power and agency. The Polish COP Presidency and the fossil-fuel industry caused this walk-out as much as the people who took part in it. They provided the much needed emotional energy for a movement that struggles to make its mark on global climate politics. Climate change is a problem that reaches far into the future. Although one could debate to what extent climate change impacts are observable today, scientists and most policy-makers have no doubt that the accumulated effects of humanity’s economic activity over the last 100 years will have consequences for centuries, even millennia to come. Most of the possible future changes in the climate system are very difficult to imagine. It seems even harder to think about the impacts climate change might force upon societies. At the same time, addressing climate change requires decision-making in the present. UN negotiators, national policy-makers, senators, voters, consumers. NGOs, business leaders and investors all need to have some kind of idea/understanding what the future will look like in order to make choices about their actions today – committing your country to GHG emission reductions, lobbying against such reductions, mobilizing your community to live more sustainably or investing in the Alberta oil sands. Unfortunately human beings struggle with making good decisions in response to climate change, and one of the main reasons for this weakness might be a general lack of imagination concerning the more distant future. Evolution seems to have a lot to do with our inability to imagine what’s ahead. Initially humans’ most pressing concerns were survival, food and shelter today and left very little time to think about the next day, week or even year. In modern societies our planning horizon has expanded to cover a number of years, maybe a decade. But although our life expectancy is approaching 100 years, and our grandchildren might see the year 2150, we rarely think beyond the year 2020. And we have absolutely no idea what 2080 might look like. So what do we do about that? What tools can help us imagine our changing planet in the years to come? It turns out that scientific knowledge is pretty useless for painting a picture of the future that the non-scientific mind can actually see. Our brains need help to transform science into images of more and less likely realities in the form of visuals, stories, ideas, and emotions – we need art and culture to help us see, feel and experience possible worlds before they have come to pass. An emerging literary genre known as climate fiction, or cli-fi for short, is trying to do exactly that. Writing stories about scientists, college students, corporations and politicians, who live in a significantly changed future due to climate change, they try to introduce us to the things to come. Well-known authors, including Margaret Atwood and Nathaniel Rich, are part of this new trend that might prove to be the missing link between climate science and climate action. I tried to imagine a credible future that would paint a picture different than our current world—in hopes that people would be inspired to respect nature now, given that a dystopian future would not be desirous. … I hope to entertain people with a good story about characters who are in the midst of being lost in a new world and who must work out their own losses, personal demons, and redemptions. The other hope is that readers will think harder about the choices we make today that will affect the planet tomorrow, and really are already affecting the planet. Bridging the present and the future with a work of fiction is not an easy task. Asked about the importance of science for her writing, Hume emphasized that she used current scientific knowledge for her imagination, and also consulted scientists and experts who live in the place where she locates her story. Making a novel’s future scenario scientifically viable could be important if cli-fi authors seek to have social-political impacts. However, it is not hard to imagine that data – and the permanent desire for more scientific certainty – might get in the way of creative writing. So many variables will contribute to our future that it's tough to imagine exactly what it will be like. I use science news articles and books to understand the current thinking on the path of climate change. Combine this with our rapid resource extraction (including oil sands), natural resource depletion, pollution, erosion, dying fisheries/oceans, and human desire for wealth and convenience, I don't see any other destination than a far different world in the future. It will be bad in that many people will probably die due to starvation, disease, and other maladies caused by climate change and reduction of healthy natural resources, including water, air, forests, and land. Eventually, the positive might be that surviving humans might learn how to live within the limits of our ecological webs and nature might rebuild herself. I hope that I've written this book in such a way that people will come away not afraid but encouraged to do the right things for our planet. We hope she is right. But does it work? Will a good summer read help us make better decisions about climate change? Can a story give you a sense of urgency? If you have read one that does, tell us about it! We thank Clara Hume for answering our questions.